Jakob Illeborg Pagter is an Assistant Professor at the Department of Computer Science at the University of Aarhus, from which he holds a PhD in computer science. His research areas include security in pervasive computing and applied cryptography. In 2001, Jakob Illeborg Pagter finished his PhD within the area of theoretical computer science, specifically algorithms and computational complexity theory, at BRICS. After graduating, Dr Pagter worked as a Software Architect at Cryptomathic, a University of Aarhus spin-off, where he was involved in developing state-of-the-art security software. 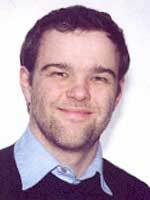 Since 2003, Jakob Illeborg Pagter has been the overall project manager for the Alexandra Institute's Centre for IT-Security. Amongst other things he is responsible for initiating and participating in it-security projects aiming to bridge the gap between research and industry.